The Boys Scouts organization will change its name to reflect its coming new membership now that girls are allowed to join the formerly all-male organization. This marks an end to a 108-year tradition due to the forces of political correctness. The Boy Scouts of America announced on May 2 that starting in February, its flagship program will be called “Scouts BSA,” according to the Chicago Tribune. Saying the name change process was “incredibly fun,” Chief Scout Executive Mike Surbaugh stated that many different names were considered during the deliberations. The famed youth organization noted that the parent group will still be known as the Boy Scouts of America and that its program for seven- to ten-year-olds will continue to be called the Cub Scouts. But the Boy Scouts program for ages 11 to 17 will change. 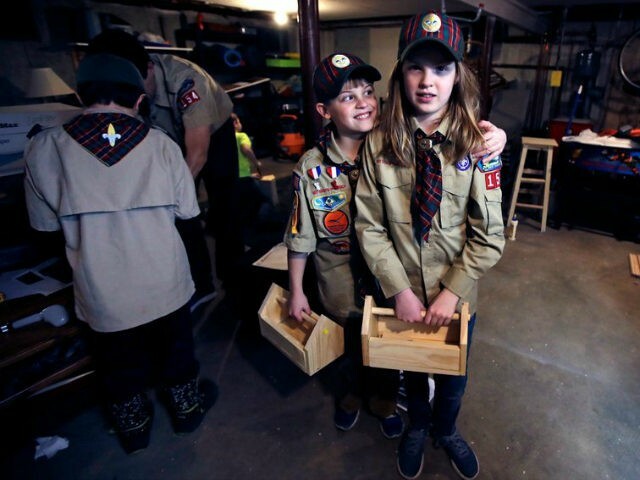 The group has already eliminated the boys-only rules for the Cub Scouts, and approximately 3,000 girls have joined, the group claimed. Scouts BSA will begin admitting girls later this year. As far back as 2015, BSA began the process of considering allowing girls to join the group, and by 2017, it had decided to eliminate its boys-only focus. Scouts BSA units, though, will not be co-ed. The sexes will be separated into their own groups, though the two programs will be similar. But the BSA’s move has caused strained relations with the Girls Scouts of America (GSA), according to reports. In the face of BSA’s move, GSA reported plans to launch an aggressive campaign to recruit new girls into its organization to counter BSA’s move to search for new female members. Both organizations will be fighting to enroll a dwindling number of interested members. The two youth groups have lost membership during the last few decades as interest in such groups wanes in America. BSA claims to have 2.3 million members, down from its peak of 4 million. GSA notes it has 1.76 million members, down from the more than 2 million it reported in 2014.